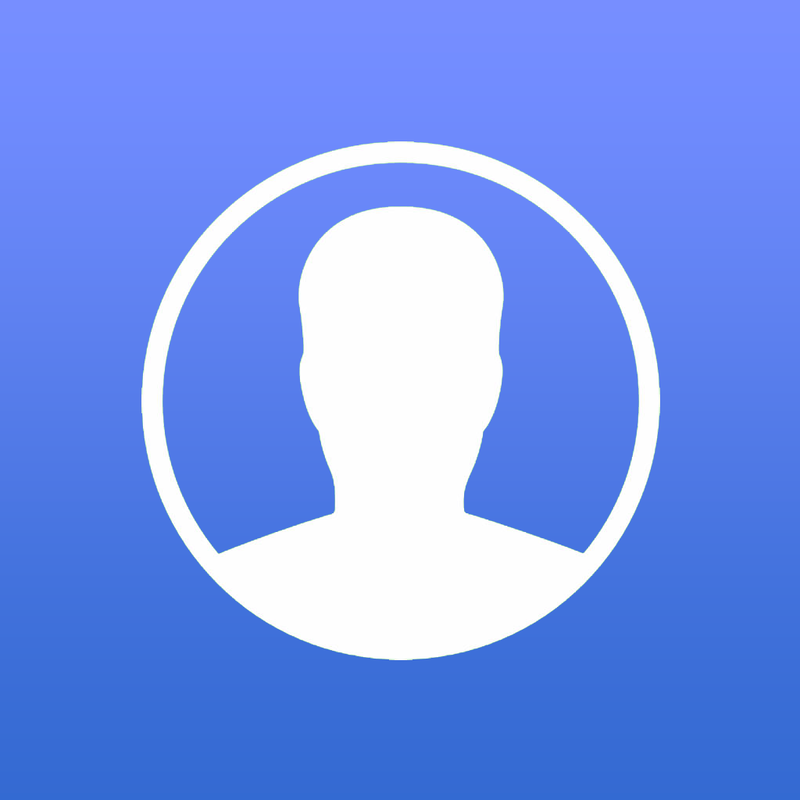 ContactFlow for iOS will help you rediscover your contacts. 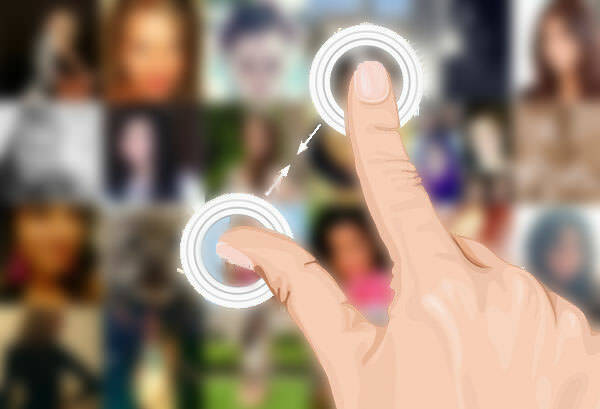 Just tap on a contact to display all associated informations (local contacts, Vkontakte, Twitter, iCloud, Exchange, ...). Here's all the stuff you can do. 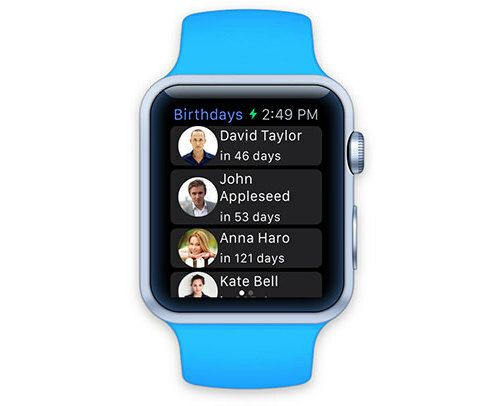 Use your Apple Watch to see whose birthday is coming in the next few weeks. Use the birthday widget to always keep in mind whose birthday is coming in the next two weeks. You can open the contact directly from the widget. ContactFlow has been redesigned with iOS 8 in mind. All the icons and elements are optimized for the new iPhone 6 and iPhone 6 plus. 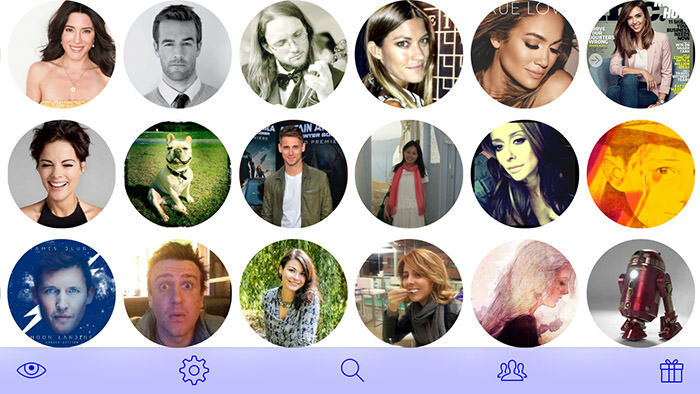 You can now pinch to zoom/unzoom in the Photowall and List view. Decide what size is the best for you. 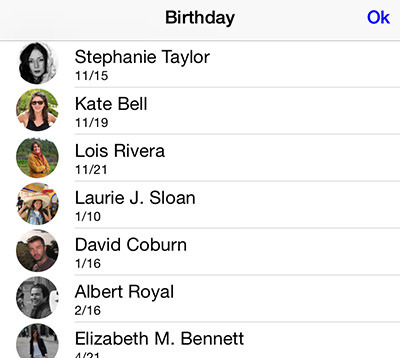 ContactFlow can now show you all the birthdays of your contacts. © Fabien Foulon. All rights reserved.